﻿ Blue Mountains Conservation Society Inc.
* - letters sent to several people - see our Submissions webpage. On the 18th May the people of Australia will elect their next federal government. The outcome of this election will have repercussions both locally and globally - and concerns action on climate change, environment laws and the status of our world heritage national parks. An election is one of your best opportunities to have a real say about these vital areas. The Society will provide full details of all candidates once nominations close. Plus their response to a straight forward question. However, your first step is to see if you are enrolled correctly. Visit our Enrol to Vote webpage. The draft Lawson Crown Lands Masterplan can be viewed on the Council’s website, and also at the Lawson Library and Council's Springwood and Katoomba administration centres. Make a submission identifying the old clubhouse space as a location for the Society’s community native nursery. For further details go to our Lawson Crown Lands Masterplan webpage. 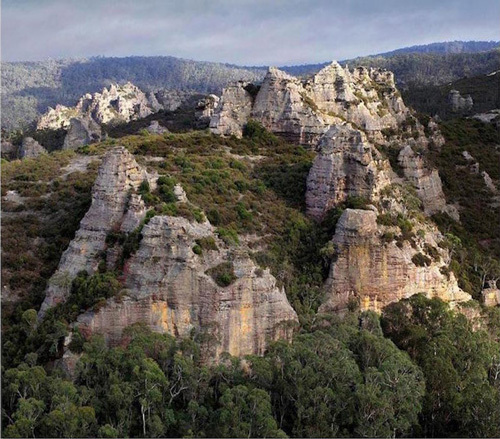 Sitting on the southern escarpment, Radiata Plateau with its outstanding topography is the last remaining undeveloped peninsula-plateau in the upper Blue Mountains. Home to rare and threatened species, culturally significant and a magnet for the local outdoor community, Radiata Plateau, towering high above rolling valleys has been in the making for millennia. Here's the Open Letter to the Hon. Gabrielle Upton, NSW Minister for Environment and Heritage published in the Blue Mountains Gazette on 5th December. Visit our Leave Radiata Plateau Wild webpages. 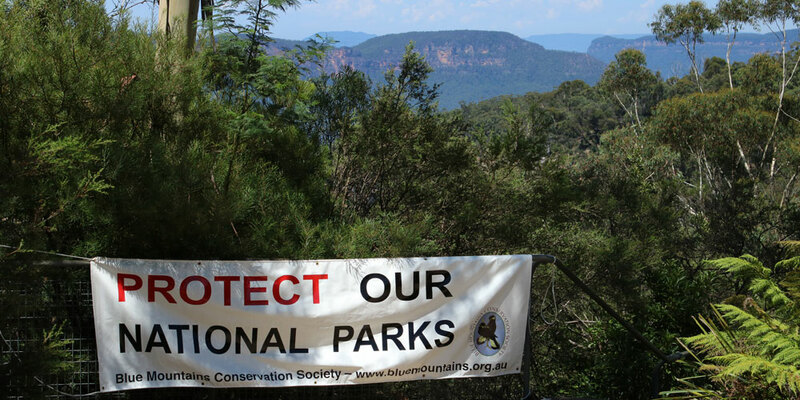 Visit the Save The Blue Mountains Wild Rivers website. Stop the Development Application (DA # 294/18) to turn Bell Quarry at Newnes Junction into a Waste Management Facility for Sydney’s waste for 15 years! Both Lithgow City Council and the Blue Mountains City Council do not support this proposal BUT the decision is NOT theirs! Instead the “Western Regional Planning Panel” will decide our future. Note: Submissions to the Lithgow City Council closed on 20th March. For further details, here's an ad on behalf of the local communities prepared by the owners of Yengo Endangered Wildlife Reserve. The Society believes that the Western Sydney Airport and its attendant infrastructure and associated industries poses a very real threat to the GBMWHA. 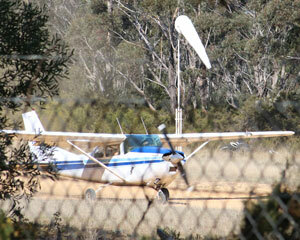 And as a result, the Airport is a threat to the Blue Mountains communities, tourism and businesses. The principal impact on the GBMWHA and Blue Mountains communities of the proposed Western Sydney Airport is aircraft noise.